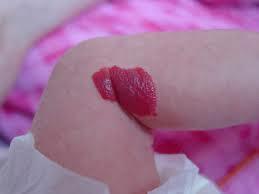 Haemangiomas are a very common vascular birth mark. Up to 10% of children have a haemangioma. These have gone by many names in the past such as “strawberry naevus” and others. 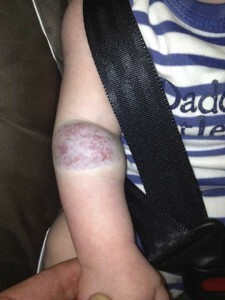 A haemangioma usually appears 1 to 2 weeks after birth and becomes more obvious and grows (sometimes quite alarmingly) over a period of 6 to 12 months. After this time the growth stops and the size of the lesion begins to shrink down as the haemangioma “involutes”. The process of involution takes quite some time with around 50% of haemangiomas having completed their involution by 5 years of age and 70% having completed their involution by 7 years of age. 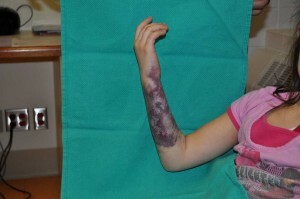 The vast majority of haemangiomas do not require treatment and will disappear by themselves if given enough time. Often where the lesion was the skin will be a little thinner and mildly different appearance in the long term. In rare cases a haemangioma will ulcerate or bleed and cause pain, may be obstructing vision or breathing or be very extensive. In these cases treatment is warranted. The current first line treatment is with the use of a blood pressure medication known as Propranolol. This medication is commenced under the supervision of a paediatrician or dermatologist and has very good success rates. In the rare case of severe bleeding or non-resonse to propranolol then surgery by a plastic surgeon experienced in the treatment of vascular lesions may be warranted. Vascular malformations are different to haemangiomas! The terminology used in this field of medicine has been traditionally quite confusing and many terms are used incorrectly by those not experienced in the management of vascular malformations. The currently accepted terminology is that described by the International Society for the Study of Vascular Anomalies (ISSVA). A vascular anomaly is a developmental difference where children are born with extra channels, either veins, arteries, capillaries or lymphatics, or a combination of these channels. The channels are usually present at birth but may not become apparent until later in life when the size and caliber changes under hormonal or other influences. The malformations can affect any tissues of the body and the management of these often involves specialists from many areas of medicine. Not all plastic surgeons or other specialists are experienced in the management of vascular anomalies and the involvement of an experienced specialist in the care of patients with complex anomalies ensures that the best treatment from a multi specialty approach is applied in all cases. Capillary-lymphatico-venous malformation in Klippel Trenaunay syndrome.